Use the button on the main toolbar. If the model has not previously been saved, the Save Model As dialog will be displayed. Select the File menu and choose the Save command. 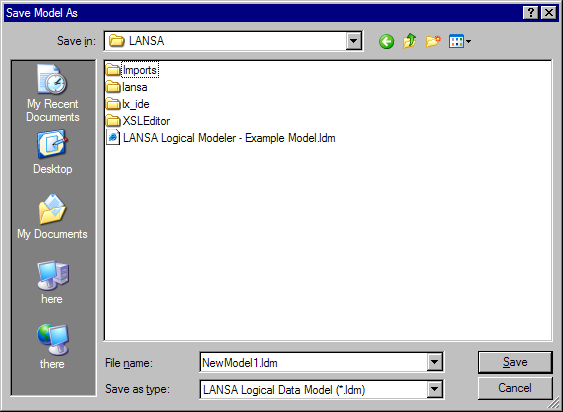 If the model has not previously been saved, the Save Model As dialog will be displayed. Select the File menu and choose the Save As… command if you wish to save an existing model with a different name. Once the model has been saved, the model diagram will be redisplayed. The save will include information about the diagram such as the model view and the active abstraction.